THE presidency Friday night said that Nigeria was not present when the United States officially relocated its embassy from Tel Aviv to Jerusalem on Monday contrary to media report. The post Nigeria not at US embassy relocation event in Jerusalem -Presidency appeared first on Vanguard News. ABUJA – THE presidency Friday night said that Nigeria was not present when the United States officially relocated its embassy from Tel Aviv to Jerusalem on Monday contrary to media report. A top Presidency official who spoke on the condition of anonymity told journalists in Abuja that the Federal Government had written to a foreign medium, Al Jazeera, demanding a retraction of its story that listed Nigeria as one of the countries represented at the event. According to the source, “Based on that report, the minister queried the ambassador to explain why he attended the event. The ambassador has since replied that he was not at the event. 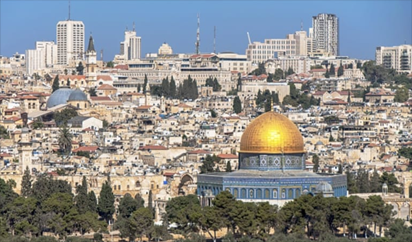 Recall that the the US had on Monday officially relocated its embassy from Tel Aviv to Jerusalem, in a deeply controversial move that angered Palestinians and drew widespread regional condemnation. The ceremony took place amid road closures and heavy police presence in anticipation of Palestinian protests, as well as deadly demonstrations in Gaza calling for the refugees’ right to return to the homes they were forcibly expelled from 70 years ago.